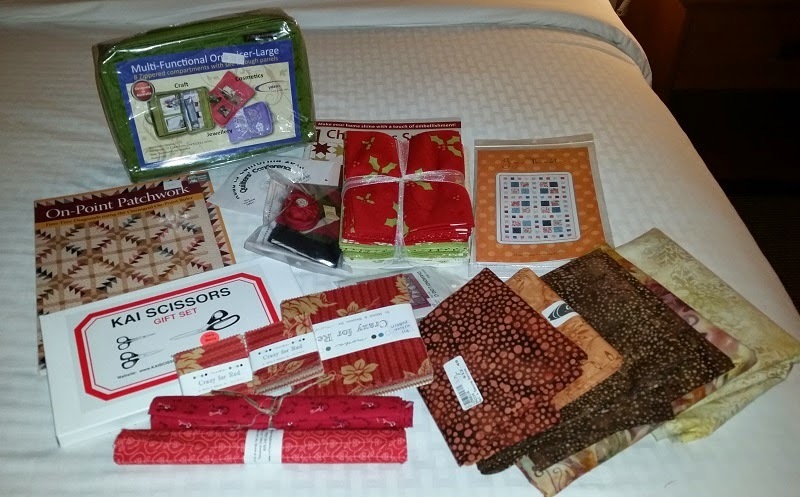 It has been one busy week, first a trip to Road to California quilt show, where I was able to take a couple of great classes and then a quick turn around to a skiing/sewing week in Mammoth Lakes. 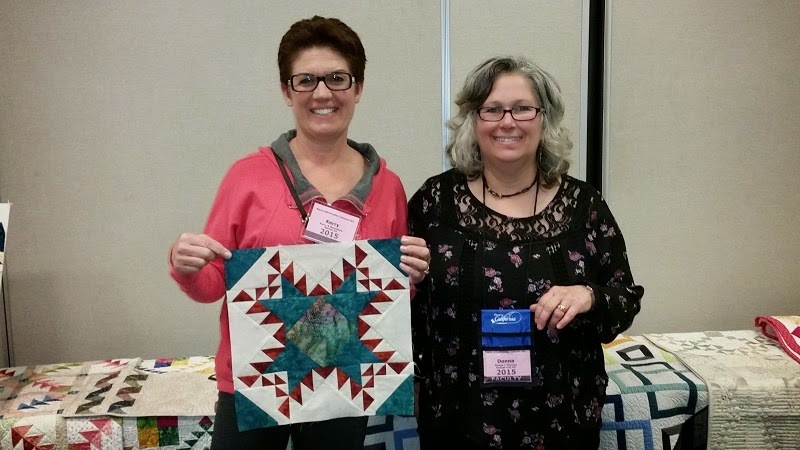 Sandi over at Kwiltnkats was my partner for the Quilt Show where we took the Batik Feathers Class with Donna Lynn Thomas. It was a great class where we learned some new tips and how to use a new ruler, the Omnigrip on point ruler. Here I am with Donna and my finished block. The next day was spent viewing the show and shopping! Later that evening we took a Mystery Class using Downtown Abby Fabrics. 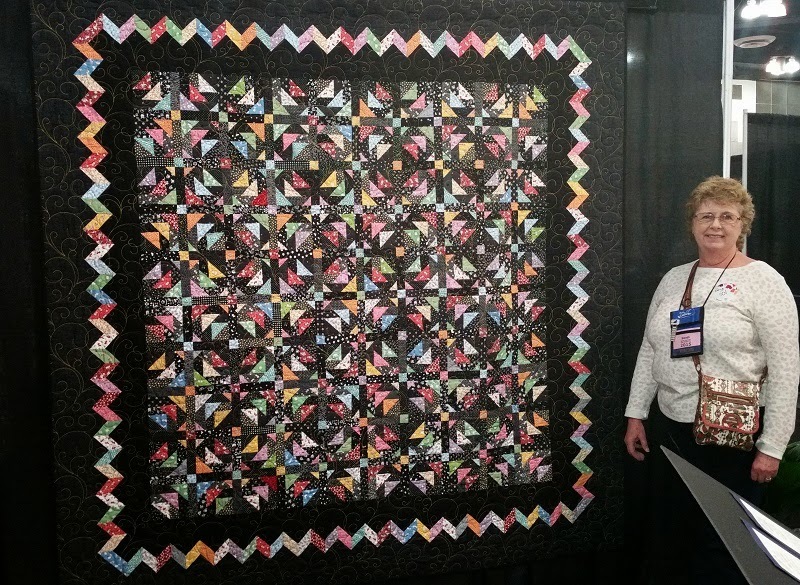 Here is Sandi with her quilt, Kookaburra, that was entered in the show. Here are all the great things that I found. More on this in a later post. 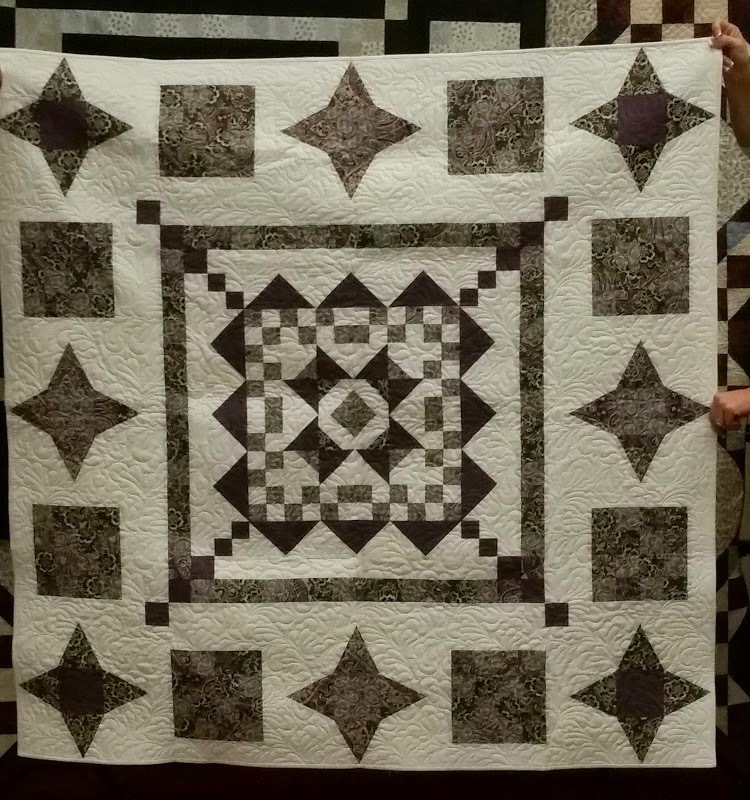 So now I am here in Mammoth, working on my Grand Illusion Quilt this week. The Blocks are done, the sashing done and ready to put together. But wait! 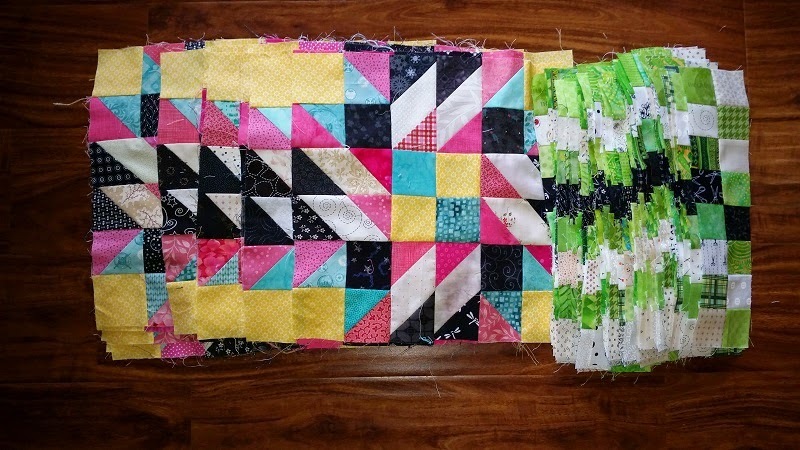 I forgot to cut the right size squares for the sashing. Oh No! Guess I will get as far as I can this week and finish up on my return. Guess I won't be making the parade this month! Hope you are working on a great project this week. Get some great ideas at Patchwork Times. How wonderful to go to Road to California: it's too long a road for me. And I am so impressed that you are ready to put your Grand Illusion together. I don't have the first block done but I do have some parts. Hope you are having a fun week.